Bellefield Systems, LLC announced today that it has released new versions the iTimeKeep app for Android and iOS operating systems, as well as a desktop version of the software which allows attorneys to enter their time using their favorite app, anytime, anywhere and any way. The latest updates to iTimeKeep provide users with several key features. The iTimeKeep app for iOS includes upgrades to comply with iOS 7, including improved look-and-feel and functionality. Android users now have the ability to utilize timers to track their time contemporaneously, in addition to other upgrades. 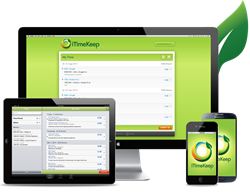 Finally, all users can take advantage of iTimeKeep Desktop, which allows attorneys to enter their time using their favorite browser, including Safari. iTimeKeep has been rated as a “Top 5 Productivity App for Attorneys” and has achieved a 5-star rating in the App Store. The new iOS and Android apps are available from the App Store and the Google Play Store respectively. entry while eliminating the burdens of complicated and invasive time capture applications.